A. GenPatch is a patch client and game launcher designed for users who have been having issues getting the new patcher to work correctly under their system configuration, and is available as an unofficial alternative to all users who would like to take advantage of the additional functionality on offer. GenPatch allows users to launch custom plugins such as RIP once the patching process has been completed and provides buttons to easily access ROSE NA's core services. A. GenPatch creates a SevenHearts.ini with a default configuration when one does not exist to combat this issue. It is recommended that you check your video settings through Settings > Video Settings if the game has been installed for the first time. A. GenPatch allows users to specify an alternative application or plugin to launch instead of the game client when pressing the START button once patching has completed. To do this, navigate to Settings -> GenPatch Settings and modify the Application and Parameters fields with the appropriate information for your application. Alternatively, you can edit your configuration file (genpatch.ini) which is located in your ROSE Online program folder. Open this file and change the PostPatchExe and PostPatchParam settings to match the application you wish to use. Save the file and restart GenPatch. General/Connection Error (Code 0): Ensure you have a stable connection to the internet and have added genpatch.exe to your firewall's exception list. In certain system configurations running under Administrator privileges may be required to use GenPatch. This error may also occur when the patch server is offline. A. If you have previously attempted to update the game with the official patch client and aborted it unexpectedly due to some other error, your game client may have been corrupted in the process which will affect GenPatch's ability to apply any patches and update the client correctly. The best course of action to take in this case is to reinstall ROSE and run GenPatch first to ensure that you are updating an uncorrupted game client. 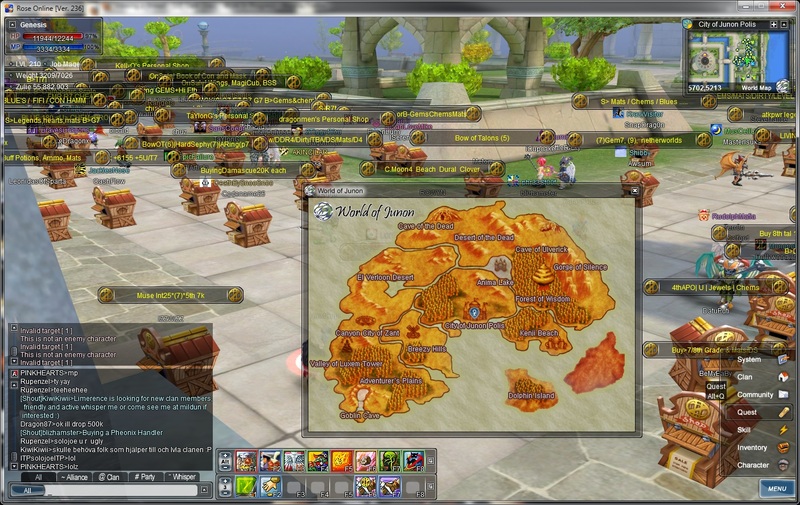 A. GenFS is a plugin for the ROSE Online game client which enables players to install user created content such as custom user interfaces without altering the game installation. This plugin provides an easy method for mod developers to package and distribute their mods using a standard format, aswell as a clean and safe method for end users to install and maintain the mods they have downloaded. A. Download the provided zip file anywhere on your computer and extract the file contents into your ROSE Online Evolution folder (e.g. C:/Program Files/Triggersoft/Rose Online Evolution/), overwriting any existing files when prompted. The files GenesisVFS.dll and IJL15.dll must be located in your ROSE Online folder to operate correctly. GenFS is integrated as part of the game client and will run automatically when the game is launched. A sample mod for GenFS is available here to verify that the plugin has been installed and is operating correctly. A. Mod files that are compatible with GenFS have a .genfs file extension. 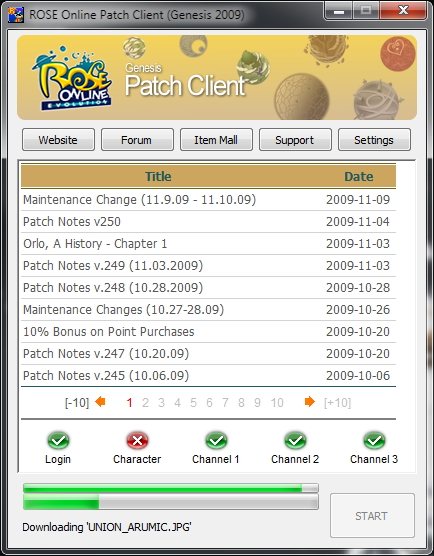 To install a GenFS mod file, simply copy the file into your ROSE Online Evolution folder (e.g. 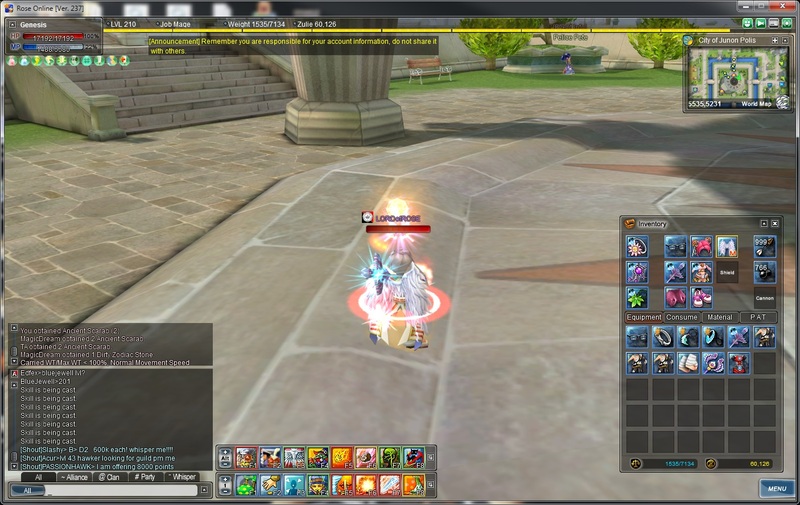 C:/Program Files/Triggersoft/Rose Online Evolution/). GenFS mod files are designed to be used without the need for extraction. To uninstall a mod, delete or move the file out of your ROSE Online Evolution folder. All GenFS mod files that are located in the game folder will be automatically applied when the game is launched. A. Firstly, ensure that all mod files are placed in the same folder that GenFS has been installed to. Browse to your ROSE folder, press the Alt key to show the menu bar and select Tools -> Folder Options. In the View tab, uncheck Hide extensions for known file types and click OK. Ensure that the mod file doesn't end in .zip (as it should be yourmod.genfs). Change the file extension to .genfs if it isn't already then go back into Folder Options and check Hide extensions for known file types to restore your original settings. This is still a work in progress, and many UI elements are in the process of being modified or improved upon. GlassUI Look&Feel Theme will require GenFS to use.